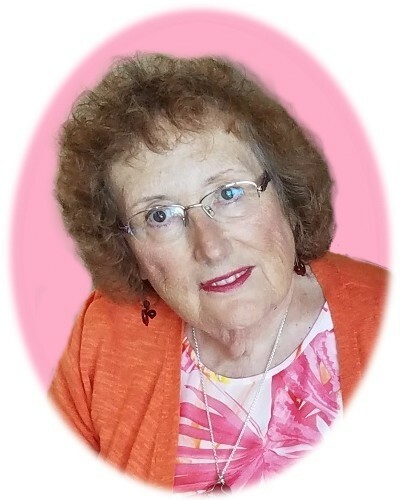 Paulette Carlson, 70, of Nampa went to be with the Lord on September 11, 2018. Paulette had a strong faith in the Lord Jesus Christ and she lived her life serving God and her family. Paulette was born in Mandan, ND on November 13, 1947 to Michael and Maggie Pitzer. She graduated from Mandan High School in 1965 and later in life obtained a medical transcription associate degree from Bismarck State College. Paulette married Robert Barnhardt in September 1967. Together they had five children. During this time Paulette was a very active member of the First Church of the Nazarene in Mandan, ND. Serving in this church was an absolute joy to her. Paulette worked for the Seven Seas restaurant, in Mandan, ND, and also the UND Family Practice Medical Center, in Bismarck,ND. Robert passed away in 1993. Paulette moved to Nampa, ID after Robert’s passing in 1993 and worked at Intermountain Orthopedic Specialists until retiring in 2013. Paulette married Dale Carlson in September 1997. After retirement Paulette and Dale spent time with their church and volunteering for the Feeding God’s Children program. They enjoyed their winters in Palm Desert, CA doing various activities like biking, swimming, and trips to the ocean. Throughout her life she enjoyed tending to her flowers and gardening. Paulette is preceded in death by her parents, one brother and her first husband Robert Barnhardt. Paulette is survived by her husband, Dale of Nampa; five siblings, her children - son Roger Barnhardt, Nampa, ID; daughter Heidi (Dean) Zaderaka, Minot, ND; daughter Jennifer Kaye, Palm Desert, CA; son Randy (Cindy) Barnhardt, Moorhead, MN. Grandchildren - Christle, Hannah, Jacob, Joshua and Samuel. Paulette’s desire in life was for all her family and friends to have a personal relationship with Jesus Christ. She is loved dearly by her husband, children, grandchildren and close friends. A memorial service to celebrate Paulette’s life will be held Monday, Sept. 17 at 11:00 am at the Alsip and Persons Funeral Chapel in Nampa, ID. Memorials can be sent to The Vineyard c/o Feeding God’s Children program, Garden City, ID.